The brackets are completely universal and can be used for top, face or side fixing. right bracket, then the left. Draw the blind slowly towards you and release slowly. The strength of the spring is preset in the factory, but the setting can be changed of necessary. and test. Repeat if necessary. With the blind in the brackets, roll it to the fully up position. 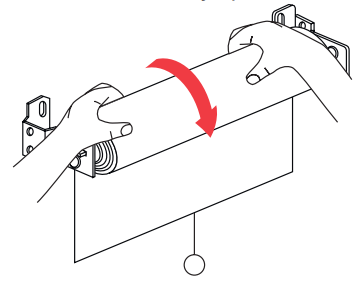 Lower it slightly and then raise it slowly until it locks in position. Remove the blind from the left bracket and roll it down half way by hand. Note every turn loosens the spring a little more. Replace the blind in the bracket and test. Repeat if necessary. Pull the chain nearest to you to move the blind up. 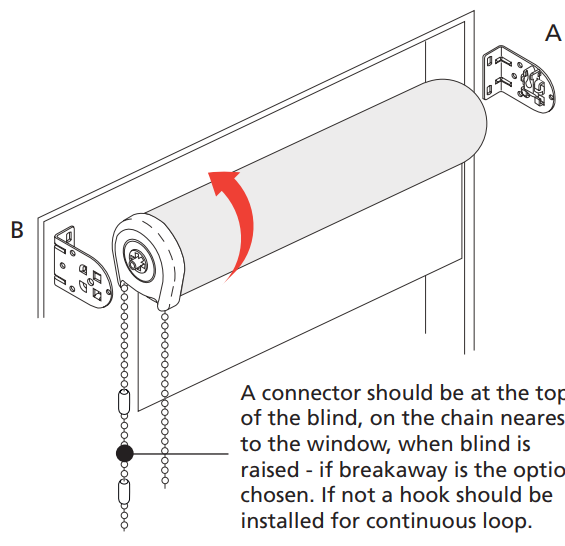 Pull the chain furthest away from you to move the blind down. reinserted in order to maximize safe use of the product). 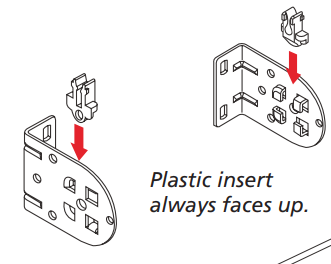 Fit plastic insert into bracket (type b as shown) if brackets are to be face fixed. If brackets are top fixed, insert must be fitted so that it faces upward when bracket is installed. Locate the position of the left bracket (type b) and screw it into position using the screw provided. Insert the left side of the blind into the slot in this bracket. 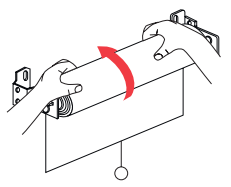 Place the other bracket (type A) on the opposition end of the blind and mark its position. (The blind should have 2mm of play between the brackets and roller to move freely). Make sure the second bracket is marked so that it is level with the first. Fix the second bracket into position. Fix blinds into brackets, first in the right bracket and then the left.